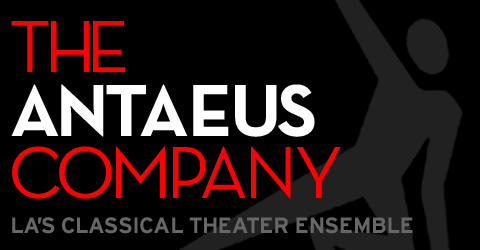 This ClassicsFest, Antaeus has been trying something new for its Saturday nights. Called Flights of Fancy, these events are more than just a performance. For the past two Saturdays, the evening performances have been paired with a related afternoon symposium and attendees enjoyed dinner at our neighborhood dining partner, The Federal, in between the two. This Saturday is a particularly special night out because we’re throwing our first birthday party at Antaeus. 2011 marks Tennessee Williams’ hundredth birthday and we’re throwing him a birthday party! Kick the evening off with a prix fixe dinner at The Federal, where you’ll get three courses for twenty dollars*. The Birthday Party is kicking off at 8pm with excerpts from Williams’ greatest hits, an appearance by The Scarlet Furies, a Southern Gothic band, and a performance of Williams Unscripted by The Impro, featuring Antaean, Michael McShane. After the performances end, the fun continues on with a party in our library. Birthday cake and booze, what more do you need? Next week, our Flight of Fancy will be a performance of the rarely-seen Chekhov play, The Wood Demon. This is a particularly exciting event because The Wood Demon was Antaeus’ inaugural production twenty years ago and we’re thrilled to celebrate our anniversary with a repeat performance! The day will start with a symposium on Anton Chekhov, followed by dinner and the performance. We hope we’ll see you this Saturday and next! * If you’d like to join us for dinner at The Federal, please make your reservation via the Antaeus box office (818-506-1983) by 6pm Friday.